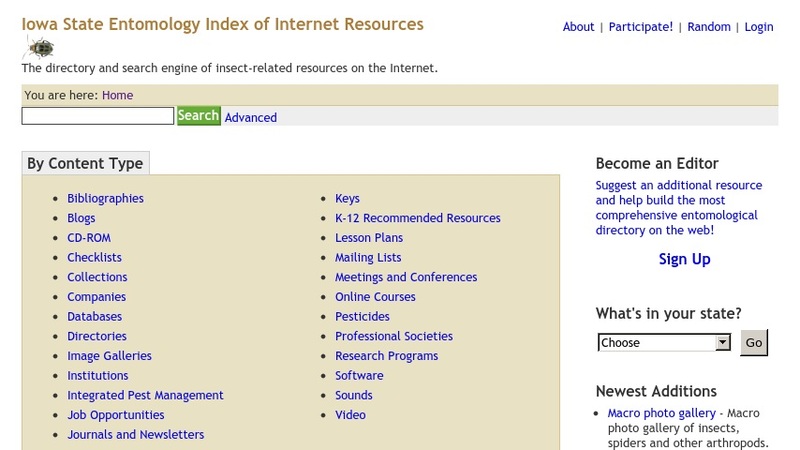 This is a directory and search engine for web-based resources related to entomology (the study of insects). The resources are browseable by content type (bibliographies, blogs, collections, and others), by taxonomic group, or by subdiscipline (biology, crop protection, medical and veterinary entomology, and other subjects). The directory is also searchable by keyword, content type, state, or taxonomic group.